Plagiarism charge against Pondicherry varsity vice chancellor? Singh cleared of all charges, says Pondy varsity. Pondicherry University is under a cloud again following reports that its newly appointed vice chancellor is facing disciplinary actions on charges of plagiarism. Puducherry: Pondicherry University is under a cloud again following reports that its newly appointed vice chancellor is facing disciplinary actions on charges of plagiarism. According to the information received under Right To Information Act 2005, Gurmeet Singh, former professor of Delhi University, who was appointed as the vice chancellor of Pondicherry University in November 2017 after Chandra Krishna Moorthy was dethroned from her post on charges of plagiarism, had also faced action on charges of the same. In reply to an RTI filed, Chief Public Information Officer Meenakshi Sahay acknowledged the receipt of the complaint at the university against Prof. Gurmeet Singh, during his service at the department of chemistry, University of Delhi, and at Dr Kalpana Bharara of Kirori Mal College, University of Delhi. “The university has taken the action against Prof. Gurmeet Singh i.e. confidential in nature and the same may not be provided to the incumbent,” Sahay said in the reply. MHRD had constituted a one-member enquiry committee to look into the complaints against Mr Singh in 2014. The ministry instituted the enquiry under K.L. Chopra, former director of Indian Institute of Technology, Kharagpur, to look into allegations of copyright violations and plagiarism against Prof. Singh. The complaint was made by Society for Values and Ethics in Education on September 25, 2013, which alleged that the research paper titled ‘Hibiscus Cannabinus Extract as a Potential Green Inhibitor for Corrosion of Mild Steel in 0.5 M H2SO4 Solution’ of Ramananda Singh M and Prof. Gurmeet Singh, published in J Mater. Environ. Sci. 3 (4) (2012) has been copied 85 per cent and reproduced from his another paper title ‘Musa Paradisiaca Extract as a Green Inhibitor for Corrosion of Mild Steel in 0.5 M Sulphuric Acid Solution’. The complainant made similar allegations against two more papers by Singh. The report that actions were taken against Singh, a highly respected academic, on charges of plagiarism put the university under cloud again. At the same time the university administration denied the allegations and said this is an ‘unnecessary controversy’. “All the allegations are baseless. 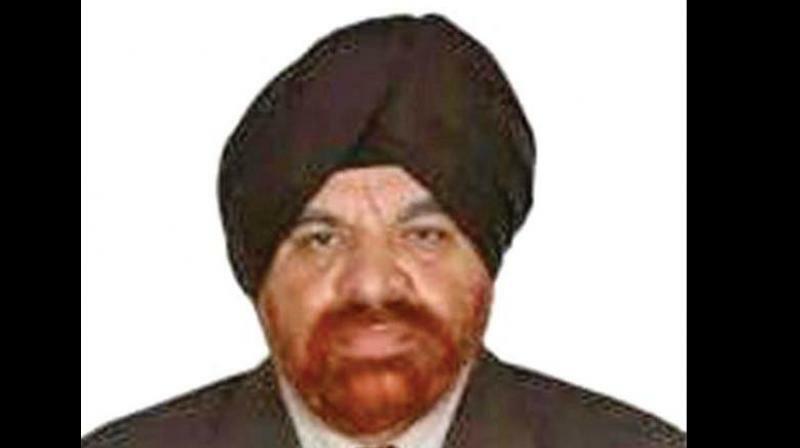 Professor Singh has come out clean from these baseless allegations and there is no charge proved against him in this matter as there is no fact in it,” K. Mahesh, assistant registrar (public relations) told DC. “University of Delhi, his previous place of employment, has given him a clean chit and has given vigilance clearance that he is free of any charges or allegations, to the ministry of human resource development for his appointment to the position of the vice chancellor of Pondicherry University,” he said.